Why are Paraguayo peaches taking market share away from peaches? In just ten years, Paraguayo peaches have gone from being a minority crop to playing an important role in the stone fruit market, mostly thanks to increasingly attractive varieties. 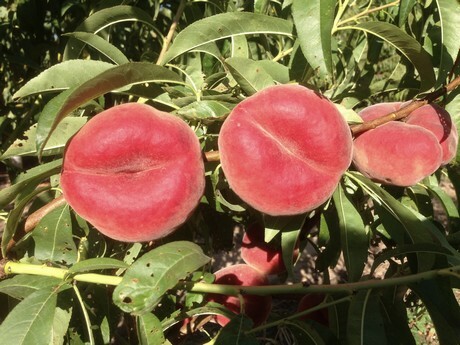 According to Thomas Chevaillier, of the technical and commercial department of PSB Producción Vegetal, of the Buffat family, there are three main parameters that are taken into account in the obtainment of Paraguayo peach varieties. The colour plays perhaps the most important role. It should be as striking as possible, since buyers reject the pale-coloured varieties with tones ranging between white and yellowish. Moreover, the flavour and aroma must be intense. Paraguayo peaches must have a characteristic light sour taste. It is also important for the fruit's peduncles to be able to resist the harvest and not cause the skin to tear, as such openings can easily become infected with bacteria and fungi. Lastly, it is essential that the lower part of the fruit, in the area of ​​the pistil, closes well, as this prevents cracking. The first Paraguayo peaches from China were planted in Spain and North Africa in the 19th century. "Those were tasty varieties, but not very productive and they had wide a pistil opening. 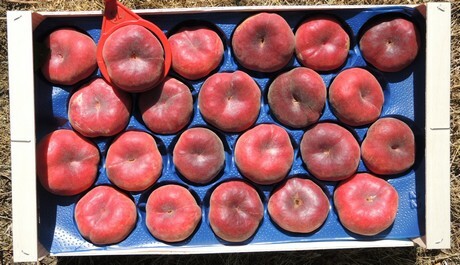 It has taken many years to market these fruits due to their unattractive appearance when compared to peaches, which had a more appealing colour and size," says Thomas. "Over the years, thanks to the work of the breeders, the varieties were perfected and the problems related to colouration or size were eliminated, although that of the pistil opening had yet to be solved. The first varieties fully closed at the base hit the market only 10 years ago. With these, there are no longer tear problems in the peduncle. They are also tasty and have an attractive colour." The Filoe variety, of PSB, harvested from 15 July in Murcia and from 25 July in Lleida. From then on, the cultivation of Paraguayo peaches started expanding quickly in Spain, especially for the fruit's export to the Russian market, which became the main consumer. Spain remains the largest producer of Paraguayo peaches by far, followed at a great distance by Italy and France. Since the introduction of the Russian ban on European exports, the Spanish Paraguayo sector has undergone an important varietal transformation. "Many of the trees that were giving fruits with a pistil opening have been uprooted in order to plant improved and more attractive varieties, to be able to sell them in Europe, and this is being achieved," says Thomas Chevaillier. With the improvement of the varietal selection and, therefore, of the quality of the Paraguayo peaches, consumption has increased in many European countries such as France, as well as, of course, Spain. The French didn't use to consume Paraguayo peaches, as France is usually a conservative market with a preference for traditional peaches, especially for local ones. However, in 2017, Paraguayo peach consumption grew by 17% in France compared to the previous year, to the detriment of regular peaches. 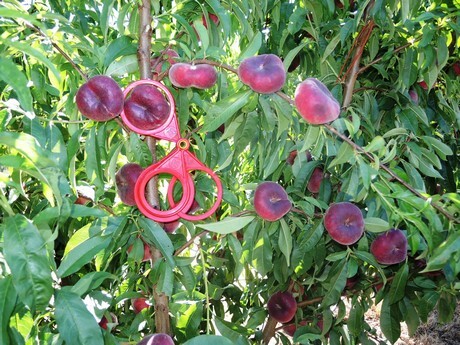 Consumers are starting to realise that the fruit can be consumed very easily without getting dirty, and that its taste does not usually disappoint, unlike in the case of peaches or nectarines," he says. On the left, the Zumba variety, one of the earliest. On the right, the Contessa, whose harvest starts 10 days after the Samantha. PSB started with the early variety programs in the areas of Murcia, Valencia and North Africa, but now they already have a big market in later areas, such as Lleida. "We are proud of our varietal program, with fruits that all follow the same criteria when it comes to pistil closure, good flavour and colour, and which do not tear in the area of ​​the peduncle when harvested. We started in early May with varieties like the Zumba and we continued with the Samantha. Then we have the Contessa, which is harvested 10 days later than the Samantha and therefore has larger calibres and a crunchy flesh. Last year, we launched the Nirvana and Filoe, which are harvested later and with higher yields. The harvesting calendar was therefore extended until the end of July and beginning of August in the production area of ​​Lleida." In the coming years, PSB also expects to obtain Platerine varieties with total pistil closure. Platerines are a kind of stone fruit for which no variety with a quality guarantee has yet been found. "There is a high demand for Platerines today. The big chains want them in order to attract stone fruit consumers. We believe that it is a product with a lot of potential for the future," concludes Thomas Chevaillier. 2018-08-31 "Colorado has an enviable position in the peach market"
2018-08-27 "Nectarine prices have been most affected by the great shortage"
2018-08-20 "The lack of fruit is not reflected in the prices; the supply is too atomised"